According to news received from Iran, Mr. Kazemeini Boroujerdi, despite enduring intense security measures and many limitations imposed on him during his sick leave, which have led to his house arrest, has been receiving threatening calls during the past two days from unknown numbers, threatening to kill him. 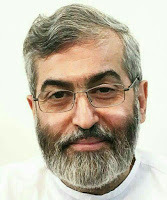 Mr. Seyyed Hussein Kazemeini Boroujerdi, a prisoner of conscience (political prisoner) who has been imprisoned since almost eleven years for his views regarding the separation of religion from politics, and for thirty five years of teaching pure theology devoid of elements of violence and dictatorship, spent his imposed period of conviction in the worst physical and psychological conditions; and while his sentence came to end in 2015, following the serious deterioration of his physical condition, he was sent on a sick leave in January 4, 2017, for the first time since his imprisonment. Nevertheless, he was forced to post a bail in the amount of 300 million Toomans sponsored by two bondsmen, and to provide guarantees to three security institutions. Since that day until now, he has been going through the process of diagnosis and treatment for numerous illnesses which were caused due to his imprisonment and tortures which he endured. Nevertheless, due to his poor physical condition and heart failure, as well as deteriorated physical health, in addition to financial drawbacks and the high cost of treatments, his treatment is advancing at a slow pace. In addition, he is not permitted to receive visitors and is banned from receiving social support from his supporters. He has also been banned from writing and distribution of any kind of publication, delivering speeches, teachings and organizing ideological or doctrinal meetings. During a few decades of independent religious activism, which resulted in numerous political encounters with the autocratic religious regime, he has constantly fought against religious violence, and has aspired to achieve peace and to promote human rights in the world and particularly in the Middle East. If he was in better or more appropriate conditions, he would certainly reiterate his longtime position for fighting against tyranny, by issuing statements and making declarations, as there is no homogeneity and understanding between his views and those of the Islamic regime in Iran. As a result, his silence is tantamount to the continuation of his imprisonment, which is now in the form of a house arrest. Hence, the ruling clerics in Iran, instead of providing compensation for the damages they have inflicted on him, and paying for damages, in particular towards the treatment and amelioration of his health, are trying to create and instill fear by sending telephone messages, and trying to force him into an absolute silence.